Diabrotica ID: Fact Sheet: Diabrotica josephbalyi Derunkov, et al. D. josephbalyi Derunkov, et al. Body length 7.2-7.3 mm. 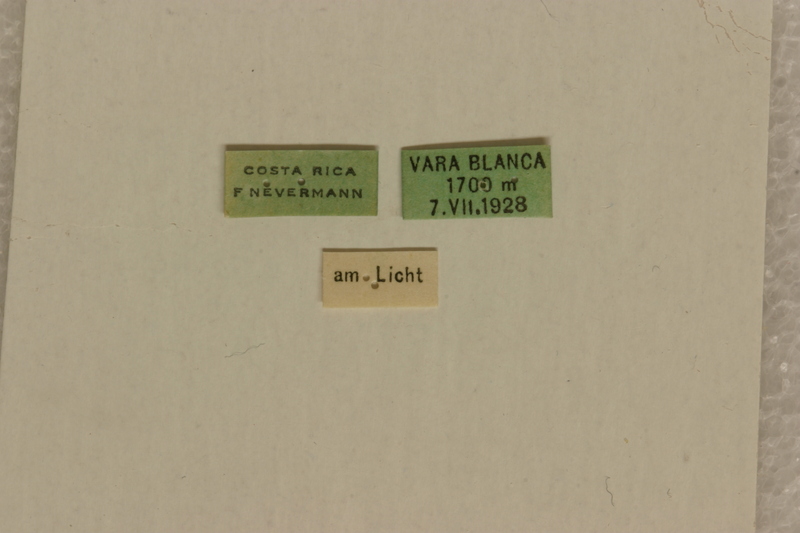 Body width 3.7-3.8 mm. Head basic color black. Antennae filiform, bi- or tricolored, antennomere 1 and 9-10 sulphur yellow, antennomeres 2-3 yellow, antennomeres 4-8 gradually infuscated, antennomere 11 dark apically. Maxillary palpi yellow or yellow ocher, labrum black or piceous. Pronotum yellow or light cadmium, subquadrate, deeply bifoveate, not shagreened. Scutellum yellow. Elytra yellow or rufous, with two metallic black blue bands, one on base of elytron, another - behind middle. Elytral epipleura completely yellow, sutural angle of elytra round, punctation dense, fine. Abdomen yellow. Tarsi yellow or yellow ocher, tibiae bicolored, yellow, outer edge with piceous or testaceous line, or extensively darkened, femora uniform yellow. Aedeagus symmetric, with five internal sac sclerites. Diabrotica josephbalyi is very similar to D. militaris Jacoby, D. reysmithi and D. fasciata Kirsch. 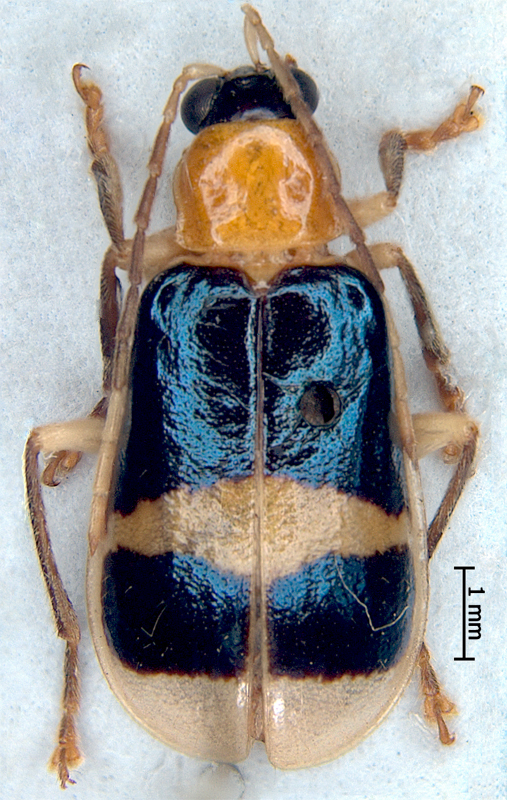 They can be separated by the following features: band color is metallic black blue in D. josephbalyi, but metallic black green in D. militaris and D. fasciata; elytra are without round yellow spot on the basal band in D. josephbalyi, but with spots in D. militaris and in D. reysmithi; the size and the shape of the band edges is different in all four species. 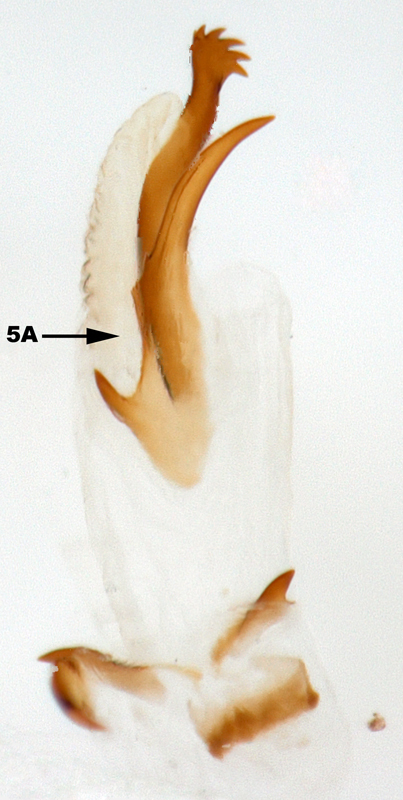 The shape of the internal sac sclerites allows distinguishing Diabrotica josephbalyi from all other species.